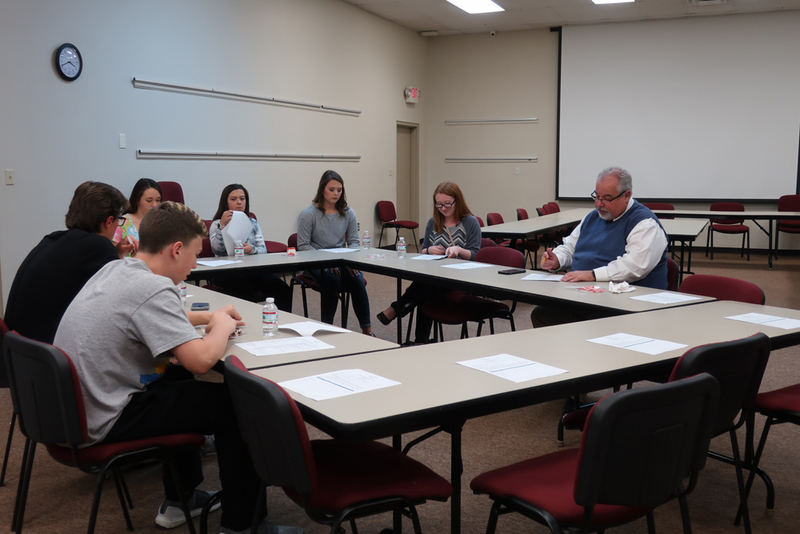 Often referred to as his favorite group to meet with, Superintendent Kelly Sprinkles conducted the final Student Advisory Council meeting for the school year on Monday, April 30. 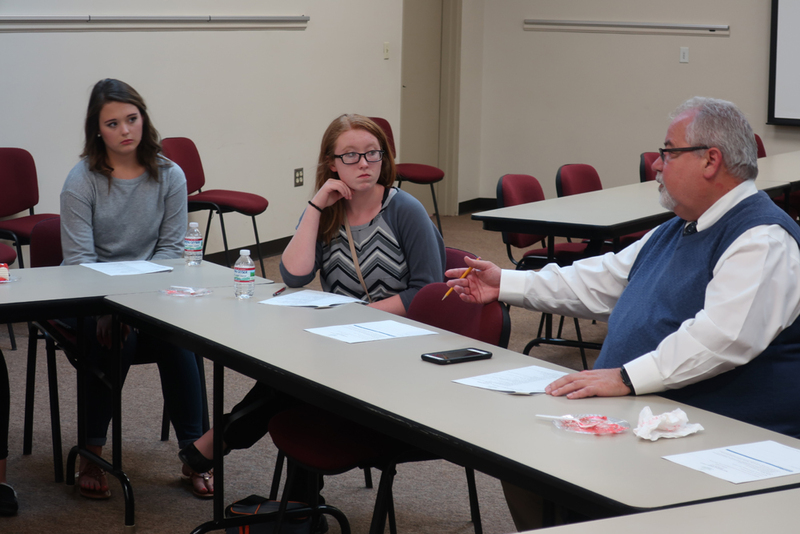 The students had a loaded agenda to discuss, including policies relating to student dress and electronic device use. 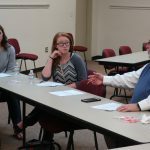 The students were more than eager to discuss the topics, citing their own personal experience with the rules and how fashion trends sometimes limit what type of clothing you can actually find to buy. 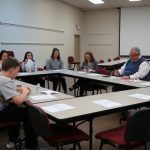 The feedback from the student council will be passed along to the System Governance committee that will make recommendations to the Board for 2018-2019. 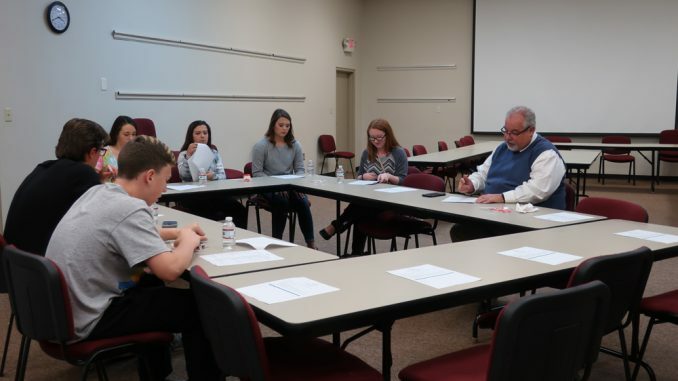 Students who participated in the advisory council during the year include Abram Brock, Samuel Castle, Joseph Cromwell, Kymberleigh Eversole, Isabella Frost, Raley Halcomb, Jobeth Hopper, Joshua Hoskins, Dane Imel, Andrew Jones, Emijah Jones, Amara Lewis, Steven Partin and Sunni Parti. Applications will be accepted in August for next year’s council.